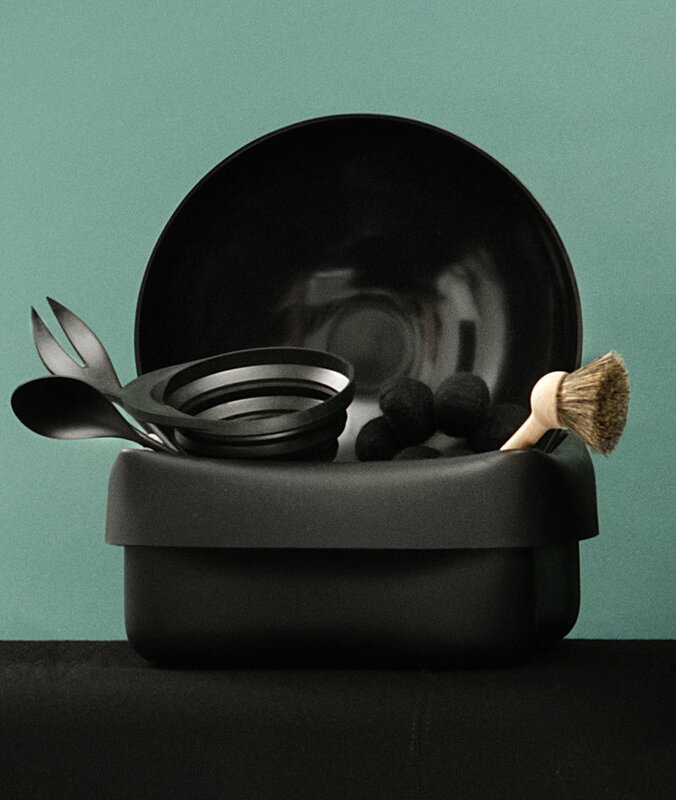 This washing-up bowl adds a poetic element to a repetitive and sometimes tiresome routine, and can be characterised as a piece of industrial handicraft. Story behind the design goes as follows: One day, while washing up in his kitchen at home, Ole Jensen felt reluctant to put his fragile porcelain and glass straight into the stainless steel sink. 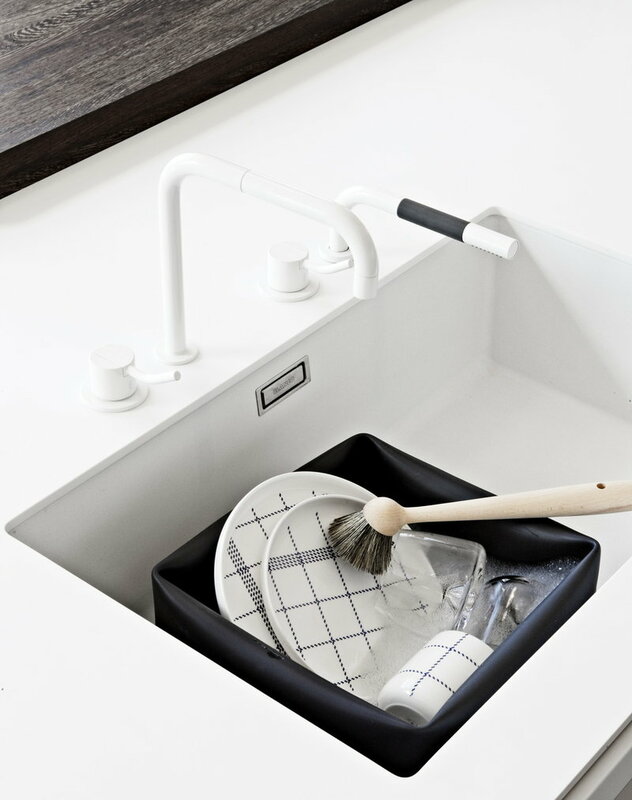 He also noticed that the sink's shape was very inflexible in relation to unusual kinds of dishes and tableware, and the idea of a flexible washing-up bowl began to take shape in his mind. 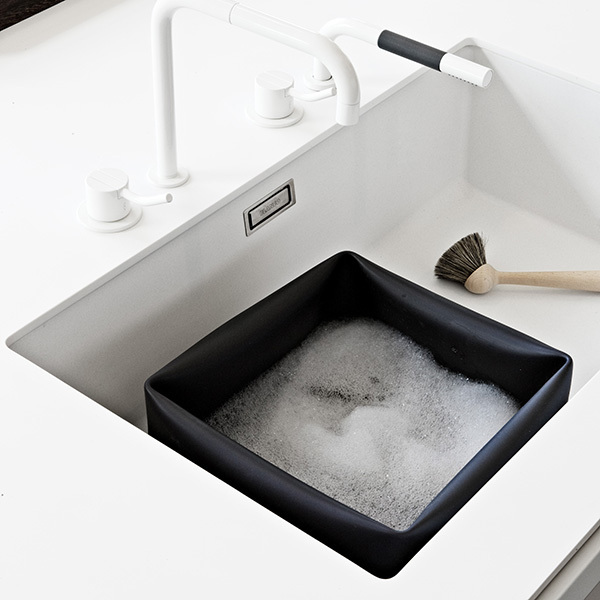 The idea was that the washing-up bowl should adapt its shape to whatever object lay in it, so Ole decided to use a flexible material, such as rubber. 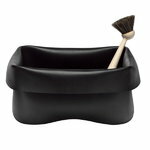 He then designed the prototype, hand-working the model on his potter's wheel until the shape was right. 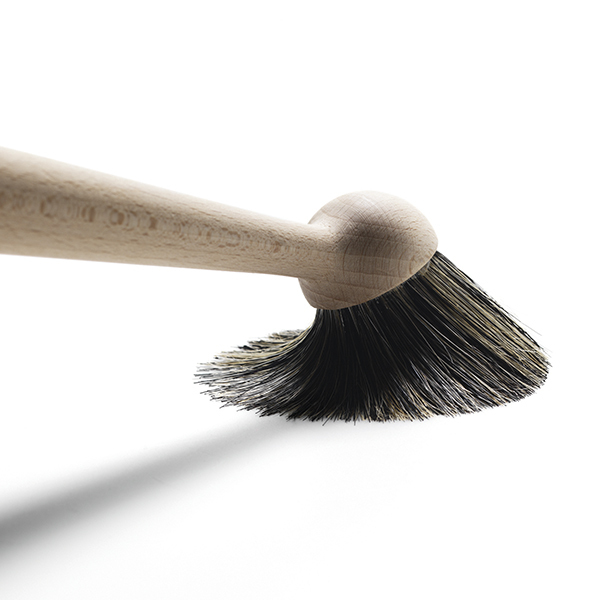 The washing-up brush is made of Chinese pig bristles bent and glued to the wood. The brush is produced according to old production techniques. 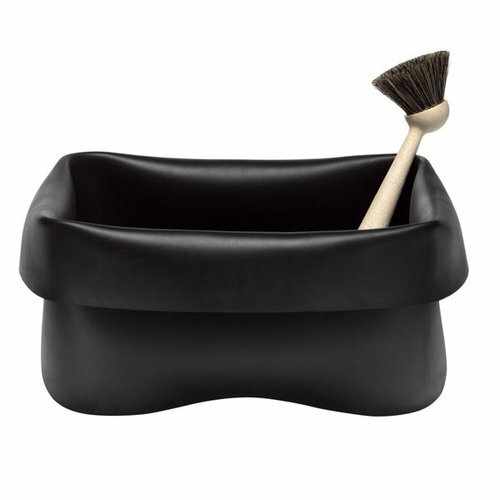 The washing-up bowl was awarded the prestigious International Design Plus Prize in 2002. Ole Jensen (b. 1958) is a highly recognised Danish designer who studied at the Arts and Crafts College in Kolding, Denmark, and at the Royal Academy of Fine Arts in Copenhagen, Denmark. 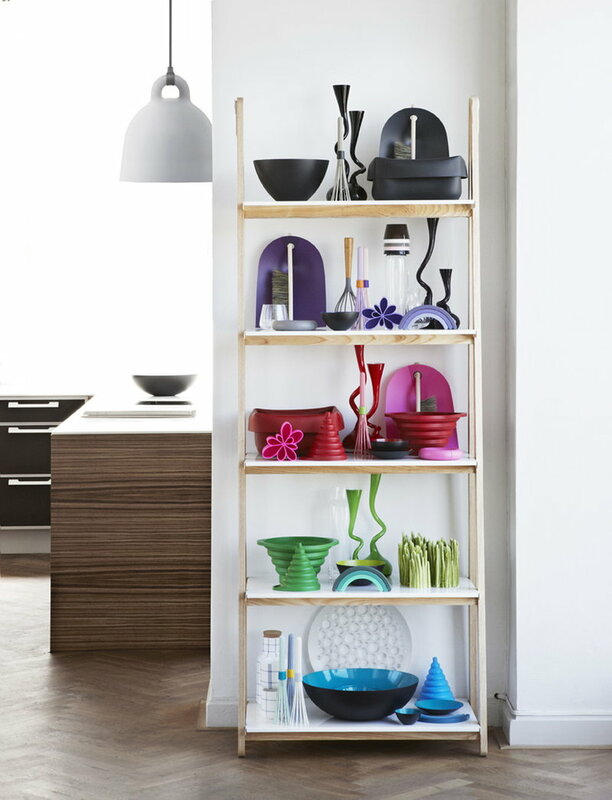 He was originally focused on ceramic, but has later on broadened his work considerably. He has taught at several design schools, exhibited his works worldwide and co-founded and served as a member of several design associations and councils. 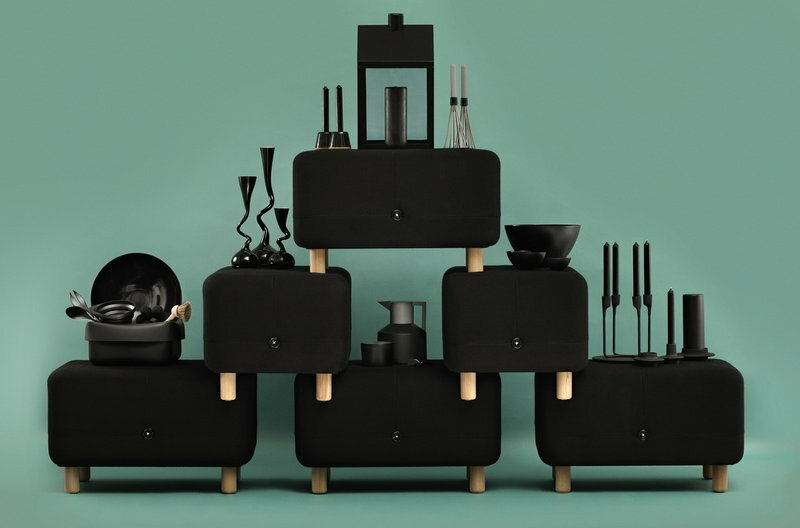 Ole Jensen’s design philosophy is about ideas and materials being closely related. The idea takes its form only when working with the material. 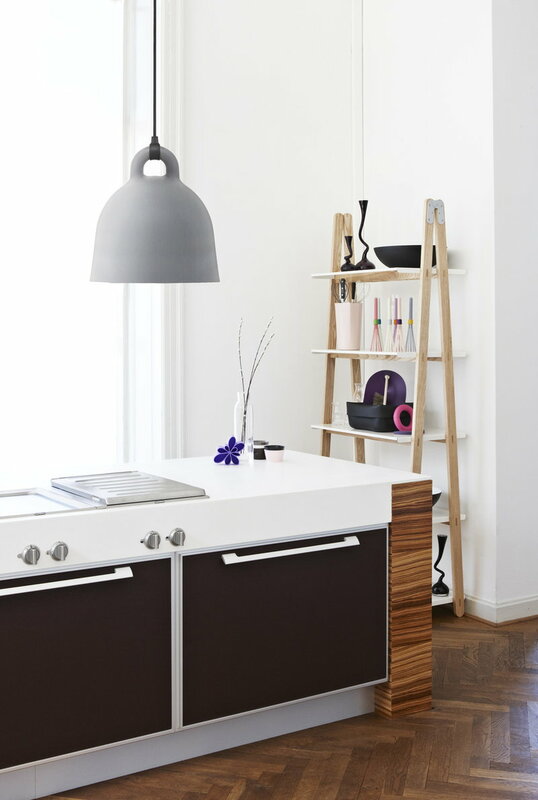 Good examples of this are products designed for Normann Copenhagen such as the washing-up bowl and brush, the dustpan and broom and the Jensen bowls or the Vitamin Container bowl created for Muuto. 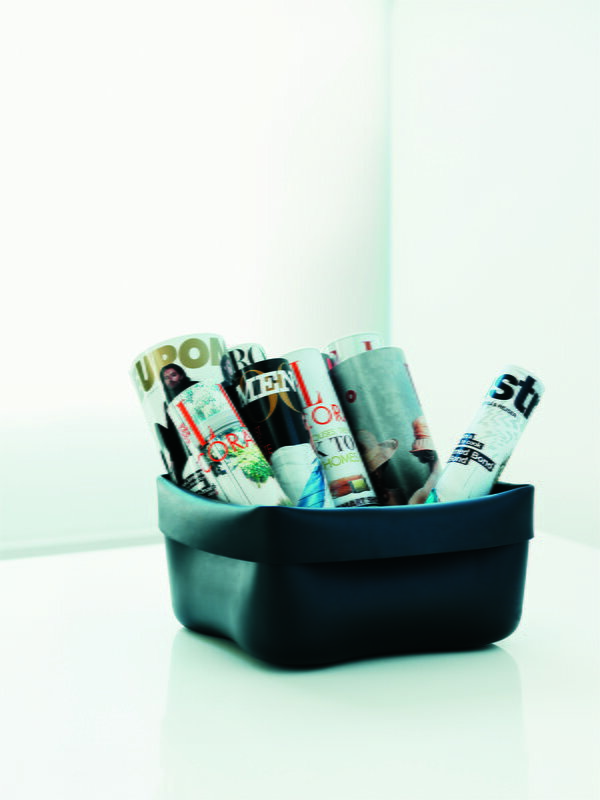 Ole Jensen has won several famous design awards, including the Formland Prize 2002 (for the dustpan and broom) the Design Plus Award 2002 (for the washing-up bowl), the Design Plus Award 2005 (for the Jensen bowls), the Torsten and Wanja Söderberg’s Prize, the Red Dot Design Award, the If Product Design Award and the Good Design Award. Ole Jensen has been featured in several publications and is represented in a number of museums such as the Victoria & Albert Museum, London, the Röhsska Museum, Gothenburg, Sweden, and the Danish Museum of Art &Design, Copenhagen.